Hawaiian Monk Seals wish you a Happy New Year! It’s always special to see an endangered Hawaiian Monk Seal. During a looong hike on Molokai, we saw six Monk seals! That’s a healthy sign. Now, after a wild New Year’s Eve… time for a snooze. 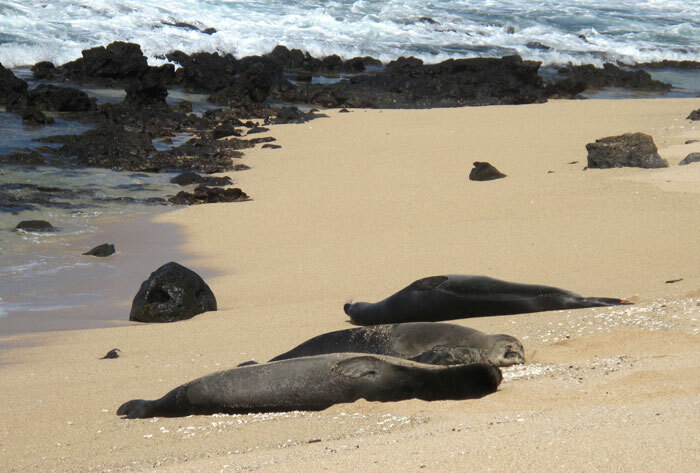 You don’t often see three Monk seals sunbathing side by side. Wishing everyone a Happy, Healthy and Peaceful New Year! Hau`oli Makahiki Hou! Aloha. 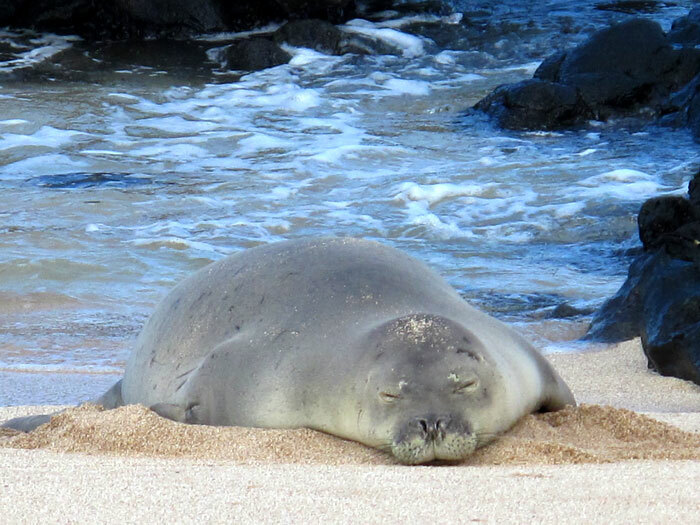 Great news to hear there were six monk seals on Moloka’i. I’ve only seen them on Na Pali.